"The first few choices you make each morning determine whether you'll be productive and mindful all day, or whether the world will clobber you over the head." Marie Kondo performs a quick tidying ritual to quiet her mind before leaving the house. The president of Pixar and Walt Disney Animation Studios, Ed Catmull, mixes three shots of espresso with three scoops of cocoa powder and two sweeteners. Fitness expert Jillian Michaels doesn't set an alarm, because her five-year-old jolts her from sleep by jumping into bed for a cuddle every morning. sixty-four of today's most successful people—including three-time Olympic gold medalist Rebecca Soni, Twitter cofounder Biz Stone, and General Stanley McChrystal—and offer advice on creating a routine of your own. Some routines are all about early morning exercise and spartan living; others are more leisurely and self-indulgent. What they have in common is they don't feel like a chore. Once you land on the right routine, you'll look forward to waking up. 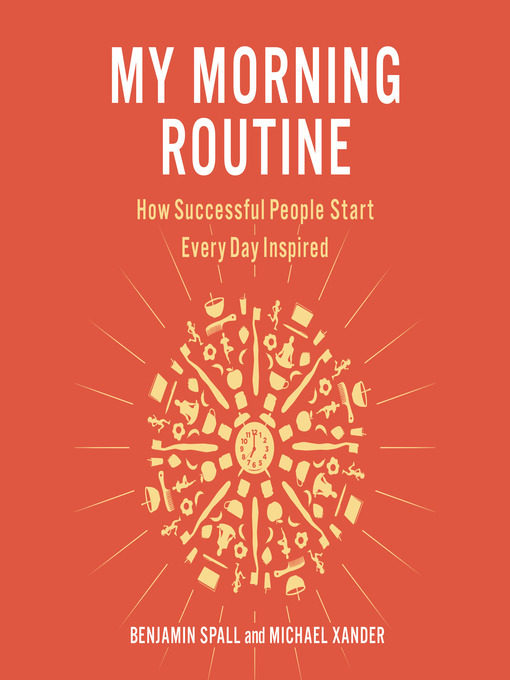 This comprehensive guide will show you how to get into a routine that works for you so that you can develop the habits that move you forward. Just as a Jenga stack is only as sturdy as its foundational blocks, the choices we make throughout our day depend on the intentions we set in the morning. Like it or not, our morning habits form the stack that our whole day is built on.